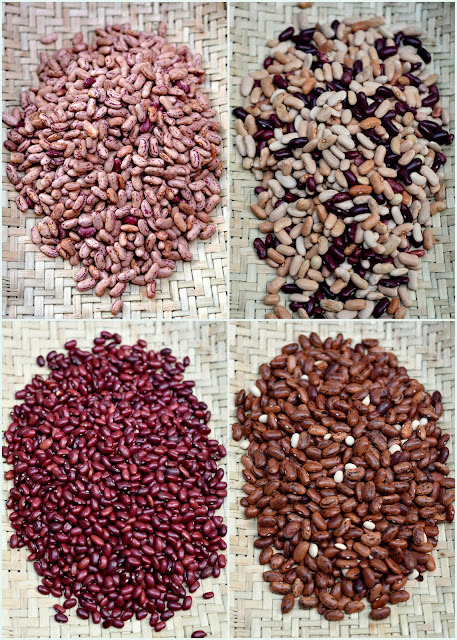 I love rajma and make it in so many different ways that whenever I soak some rajma to cook I have to plan the way I will be cooking it the next morning as I rarely depend on one specific way to cook my rajma. It doesn't mean I don't like the traditional rajma but I love experimenting more. 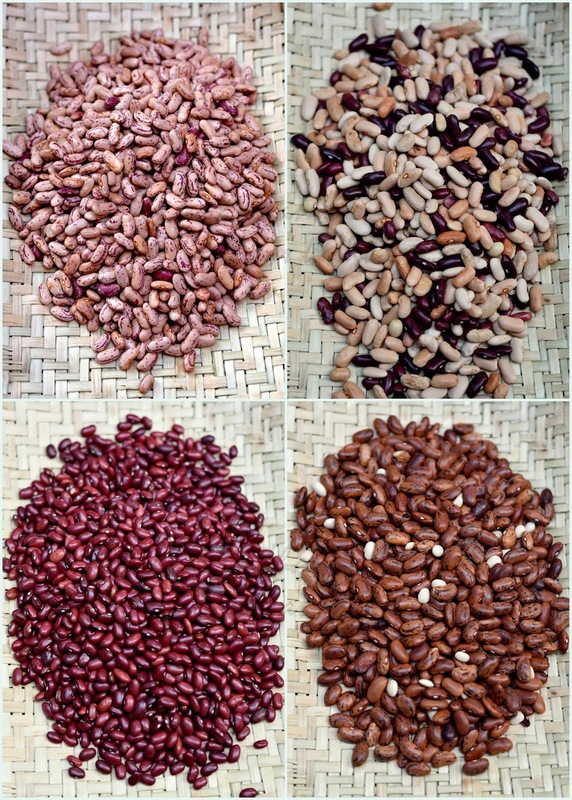 I keep buying so many varieties of rajma it will be criminal to use them all in a singular way. The badarwahi rajma from Jammu is usually cooked the traditional way or with beets puree added to the bhuna masala mix. The Jammu badarwahi rajma also tastes great with a simpler buttery gravy, the Kashmiri rajma. The Uttarakhand rajma is cooked usually with a very light curry which is onion based as that was the way I loved it when I tasted in Uttarakhand. The big sized Uttarakhand rajma is very soft and creamy though it takes some time to get cooked in pressure cooker. I love the Uttarakhand variety with spinach puree added to bhuna masala mix. 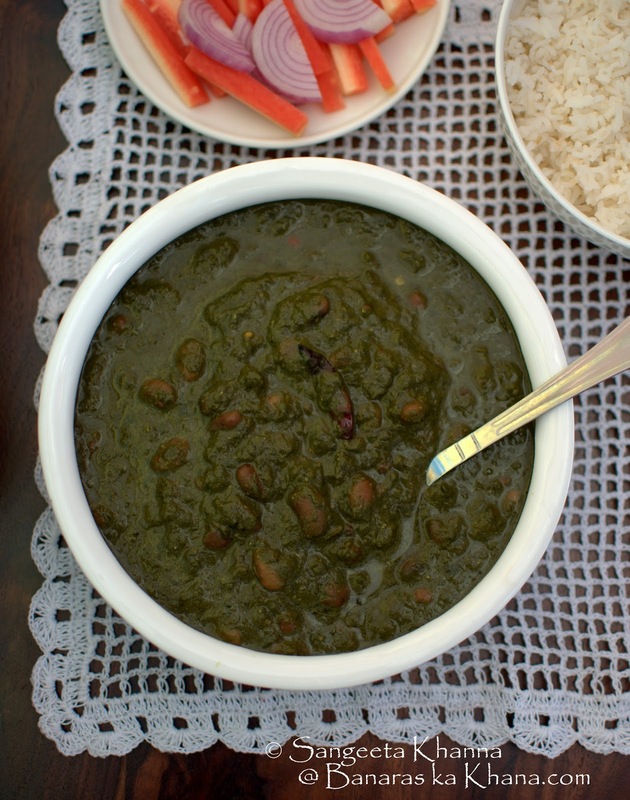 The rajma cooked the Himachali way with spinach is also one of my favourites. I make a variation of rajma that is called Gogji Rajma and is made with either Turnips or Knol khol. These Kashmiri recipes are so simple to cook and so delicious that one finds comfort in them even though one is not grown up eating them. Such is the case with me at least. The recipe of Gogji Rajma will be shared soon but the pureed beets and beet greens and spinach rajma is not much from the recipes used all over north India, hence sharing them together to give you an idea of how a single dish can be nourishing and yet easy way to accommodate vegetables and beans in one. Drain the rajma, transfer to pressure cooker pan, add salt and soda bi carb and water and pressure cook for 20-25 minutes. Cool down before opening the cooker. Rajma should be well cooked and cracked. In the meanwhile, prepare the greens and the spice mix. Chop, steam, cool and puree the spinach or beet leaves. You can use a mix of both or just boiled beets puree instead of the leaves. I use boiled beets puree when making rajma with badarwahi (jammu) rajma. Make a paste of onions, ginger, garlic and red chillies and keep aside. In the same blender puree the chopped tomatoes too. Or blend the yogurt if using. Keep aside. Heat the oil, add hing and wait till it gets aromatic. Pour the onion paste and bhuno till the mixture looks glazed or oil separates. Add the powder spices and bhuno again for a few minutes or till the mix becomes aromatic. Now add the tomato puree or whipped yogurt and bhuno once again till the mix becomes glazed. Add garam masala powder and let it incorporate. Do not bhuno much after adding garam masala. Add the spinach or beet greens puree (or boiled beets puree if using) and simmer the mix for 5 minutes or so. Add the cooked rajma with all the cooking liquid and simmer for 10-20 minutes. The rajma soaks all the flavours and the curry gets delicious. Sometimes I add half puree and half chopped greens to get a nice texture. See this spinach rajma cooked with yogurt. I need very little rice with my rajma and here is how my mug meals look like. This mug is 700 ml capacity and most of my soupy meals are enjoyed like this. Hot and comforting. Always adjust seasoning too, because some mature leafy greens are a little alkaline in taste and you may want to have lesser salt in them and balance the alkalin etaste with some added yogurt or lime juice. Serve with some butter on top of plain old ghee, or without any topping as the rajma itself is so flavourful. This kind of rajma is best served with plain boiled rice but it tastes great with thin delicate chapatis or thick millet rotis too. Try this kind of rajma with some crisp hot parathas to break the monotony. Some days you must try these rajma recipes enriched with the goodness of greens. It does take some time to cook but you can always cook in a large batch and serve 2-3 times over a week. Or just keep some bhuna masala for convenience and make any rajma recipe quick. We always find a way to eat what we like. Hmm...I wonder how it would be with cooked millet instead of rice?? I prefer millets for khichdi and upma or pongal kind of dishes personally. With rajma i need my chawal or even kulcha or millet roti. You can try if you like.